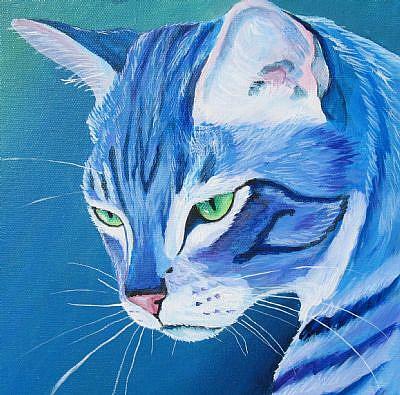 This is an original acrylic painting of a blue tabby. The painting wraps around the edges, so no frame is needed. 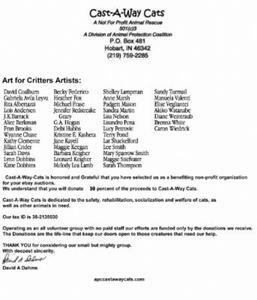 It has been sprayed with a high quality matt varnish and will come wired and ready to hang. 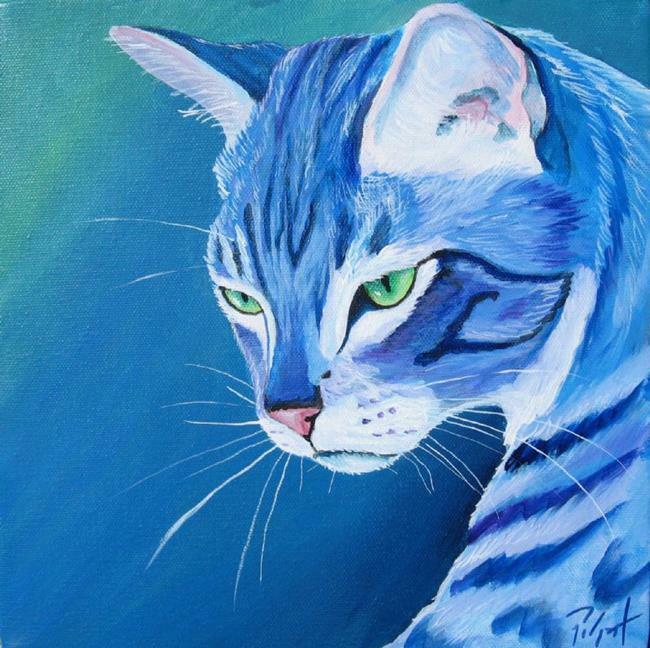 This is the third painting I have done this pose, a kitty on the prowl, hence the title "Prowl 3" 10% will go to Cast-A-Way Cats.